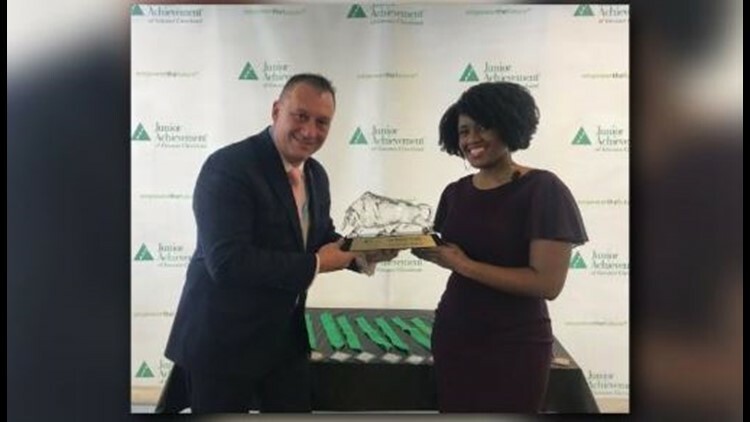 CLEVELAND -- Today Junior Achievement of Greater Cleveland held its first-ever Stock Market Challenge.This event is designed to teach high school students about the importance of saving and investing while exposing them to what the stock market is. WKYC’s Tiffany Tarpley hosted the event. From 9 a.m. to 1 p.m. at the Ernst & Young Tower at 950 Main St., JA brought the stock exchange to Lorain, Lake, Cuyahoga, and Geauga counties for a fun-filled, action-packed competition where high school students had the opportunity to experience the feeling of standing on the trading floor of the NYSE, according to JA. This high-energy event was designed to simulate the excitement of a real-life trading floor, JA wrote in a press release. Teams of four to five students learned to work together, leverage each other’s strengths, and use critical thinking skills while analyzing news articles and data during a high stakes and fierce competition, JA wrote.